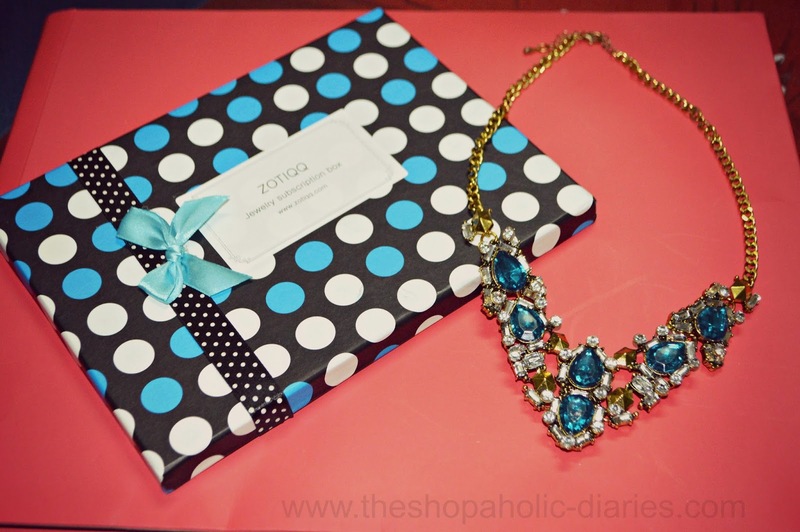 My October ZOTIQQ Jewellery Box - Festive Special | Review | The Shopaholic Diaries - Indian Fashion, Shopping and Lifestyle Blog ! I hope you are enjoying the festive preparations. Have you decided what you will be wearing this Diwali? I have decided to wear an Anarkali kurti I purchased recently from Meena Bazaar which I would share on the blog shortly, and I have got the perfect accessories to match with it in this month's ZOTIQQ jewellery box. In my last month's post, I had introduced the ZOTIQQ jewellery box in which I had received some really pretty jewellery. But this month's box is all the more special as it is a festive themed box keeping in focus the celebrations mood in the country. 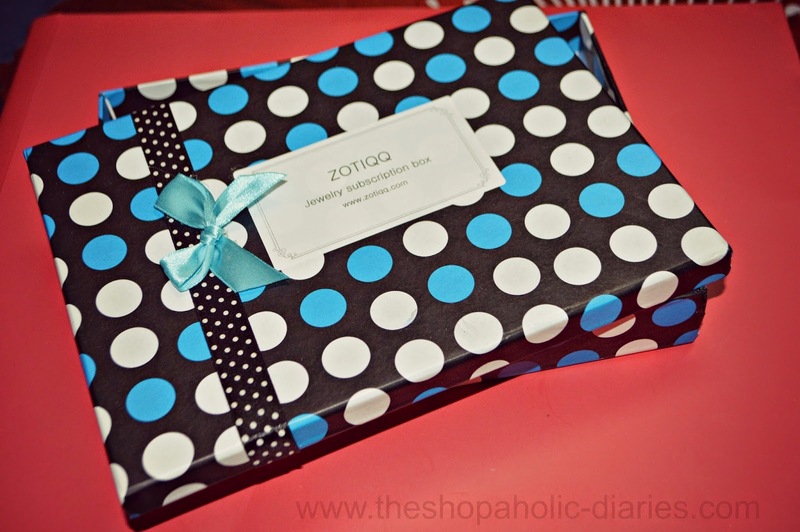 Look at how cute the packaging is with that a little bow and polka dots - A collectible box in itself, Isn't it? 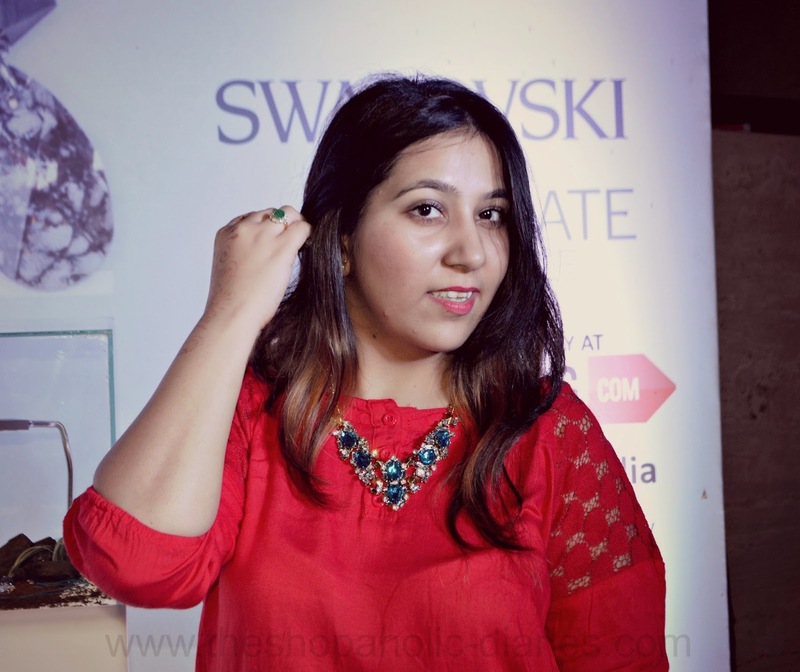 This month the box contained a very pretty, statement neckpiece which is really versatile and I can already tell you that you will be seeing it very often in the outfit posts on the blog. 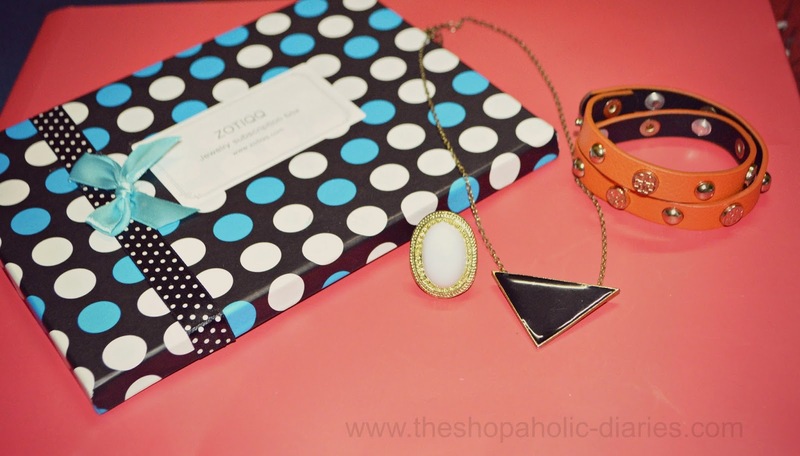 The box also contained an adjustable white ring, a triangle shaped pendant and a wrap-around bracelet. However, the highlight of this month's box are these ethnic earrings which are a must-have in every wardrobe to style festive clothing and I will be wearing them this Diwali with my kurti. PS - Booking for a particular month’s box is now open till last day of a month. All booked orders are shipped in the first week of the subsequent month. What do you think about my October's jewellery box? Let me know in COMMENTS below. Those earrings are so beautiful. Would love to see how you style them. Hey! Why don't you also have a look at our elegant and stylish jewelry collection for Diwali! Do check it out!